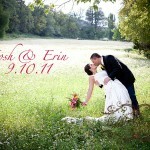 Josh and Erin had a beautiful ceremony in Glencoe, NM on 9.10.11! Â The venue was Erin’s family ranch, Perry Ranch, filled with so much family history. Â I hope you enjoy the sneak peek from their wedding day! © 2019 Tall Blonde Photography|ProPhoto Photography Blog by NetRivet, Inc.